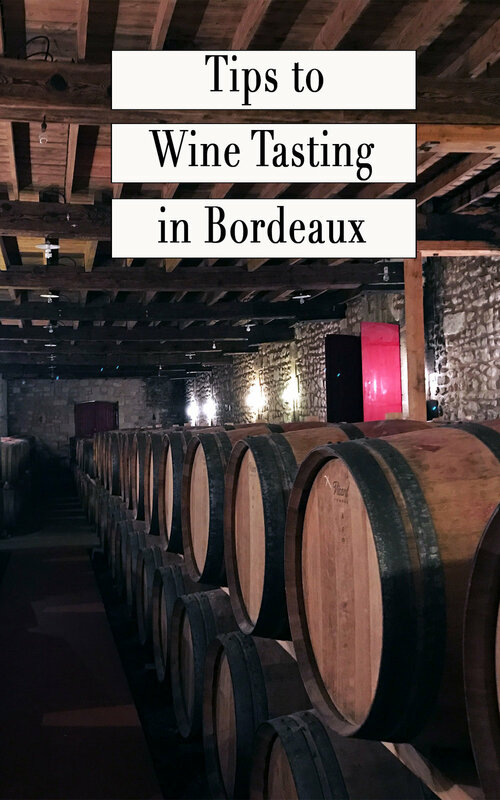 What You Should Know Before Wine Tasting in Bordeaux — Sapphire & Elm Travel Co.
Wine in Bordeaux is more than a business, it’s a way of life. The ancient Romans were the first people to cultivate, plant vineyards and produce Bordeaux wine approximately 2000 years ago. Bordeaux was perfect for growing grapes for wine because of it’s soil conditions, marine climate and location on the Garonne river making it easy to ship wines. 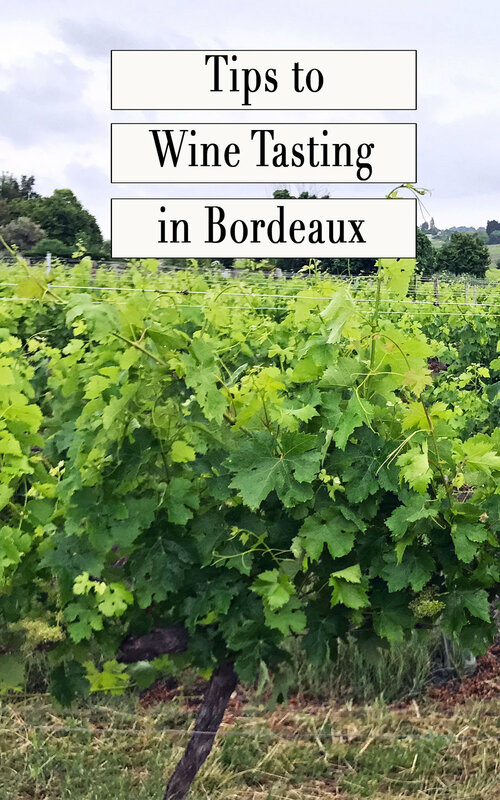 Bordeaux was already starting to earn fame for its wines as far back as the 1st century AD when in his writings, Pliny the Elder mentions plantings in Bordeaux. The Bordeaux wine region really took off after the marriage of Eleanor of Aquitaine to the future king of England, Henry Plantagenet or King Henry II in 1152. Bordeaux wine was served at the royal wedding. The marriage between the two made sure that the region of Aquitaine which included Bordeaux, remained under English rule. During this period, Bordeaux established a monopoly in the production, sale and distribution of wine to Great Britain. Richard the Lionheart, the son of Eleanor and Henry II made Bordeaux wine his beverage of choice. The Hundred Years War halted production and trade. The war lasted until October of 1453, but by then the English already knew of the fantastic wine from the south. At first, Bordeaux wines were sold with only the name Bordeaux on the bottles. By the late 1600’s specific regions and brands began developing, allowing discerning consumers to chose which Bordeaux vineyard, or appellation they preferred. Haut Brion (now Château Haut Brion), Château Margaux, Château Lafite (now Château Lafite Rothschild) and Château Latour were the first brands to develop name recognition. These four wineries are 4 of 5 "First Growths" aka Premiers Crus, with the fifth being Château Mouton Rothschild. First Growth Bordeaux wines are among the world's most expensive and famous wines. They are agreed upon to be extraordinary quality, the wine buyers of the day (in the 1700's) were well aware of their quality and value. Thomas Jefferson even listed all of these wineries at the top of his list on his trip to Bordeaux in 1787, almost 100 years before the official classification of 1855. 1855 remains one of the most important years in Bordeaux history, the year of the official classification, which listed Château Haut-Brion, Château Margaux, Château Lafite Rothschild, Château Latour and Château Mouton Rothschild as First Growths. The 1855 classification system listed the best wines from Bordeaux. It ranked First to Fifth Growths. All of the red wines that made it on the list came from the Médoc region except for one: Château Haut-Brion from Graves. The purpose of the classification was to promote Bordeaux wine and inform consumers which wines were the best to buy, and guide them as to how much to pay. With so much complex history in the Bordeaux region, it can be difficult to navigate. 1. There are five appellations or regions*, and many more sub-regions in Bordeaux specializing in different wine. In general, the left bank of the river is known for Cabernet Sauvignon blends. The right bank is known for Merlot blends. Between the rivers is known for light reds, sweet and dry whites. Médoc – the most prestigious Grand Cru Classés de Bordeaux (1855 classification) are found in this region, including Château Margaux, Château Lafite Rothschild, Château Latour and Château Mouton Rothschild. Médoc is known for primarily Cabernet Sauvignon, then Merlot. Entre-Deux-Mers – situated between the rivers Dordogne and Garonne, with no shortage of charming and ancient villages, and best explored by bicycle. Known for Sauvignon Blanc, Semillon and Muscadelle. Le Libournais – at the confluence of the three rivers, you can find cultural heritage sites, nature and a veritable feast of wine from the famous Saint-Emilion, Pomerol, and Fronsac sub-regions. Merlot and Cabernet Franc are the dominant grapes from this region. Blaye & Bourg – known for small harbors, quaint villages. In Blaye, Merlot is king here, followed by Cabernet Sauvignon then Malbec. Also able to produce white wine here. In Bourg, Merlot reins supreme, then Cabernet Franc. TIP: the 5 major Bordeaux grape varietals are Cabernet Sauvignon, Merlot, Cabernet Franc, Malbec and Petit Verdot. 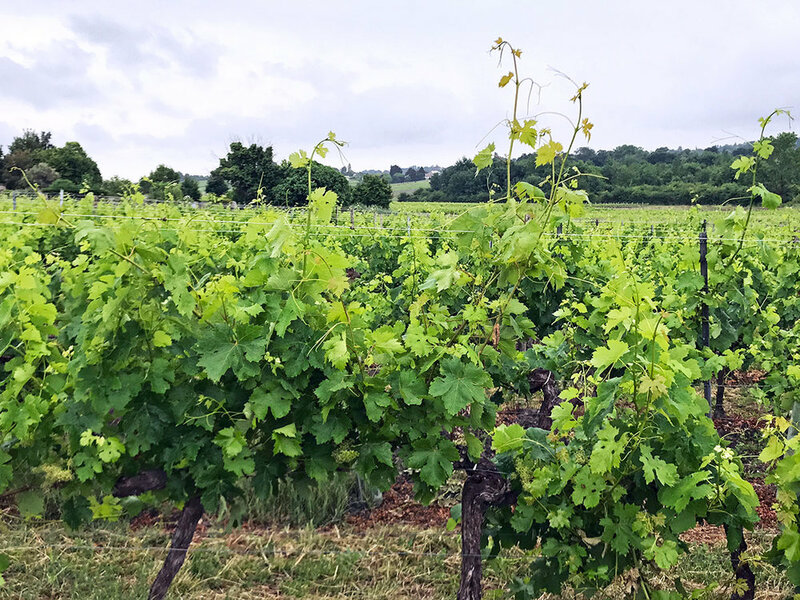 Graves & Sauternes – dotted with Grands Crus classés and discreet vineyards, these terroirs enjoy high-quality soils and microclimates conducive to wine growing. Home of Chateau Haut Brion, the only First Growth not located in the Medoc. Known for Merlot, Cabernet, Malbec, Petit Verdot, Semillon, Sauvignon and Muscadelle grapes. Home to the world’s finest, sweet, white wines. Additionally, the sub-region of Pessac Leognan is the only Bordeaux wine appellation known for producing world class, dry white wines. *The five regions listed above are based on the Bordeaux wine routes and tourism office. You must make appointments with chateaux in advance in order to taste. There are more than 7,000 chateaux (wineries) in Bordeaux, making more than 10,000 wines. If you usually drink Cabernet Sauvignon, you must spend time in Medoc. However, try Cabernet Franc wines from Saint-Emilion region. Bordeaux is now only a 2 hour train ride from Paris. New high speed trains will get you there faster than the prior 4 hours each way! Just be sure to get your tickets a couple months in advance for roughly $40 instead of $140 each way. Bordeaux has public transportation to move about the city, but most wineries in Bordeaux are not easy to access by public transit. Consider hiring a driver, bike riding, or going on group tours to access more wineries. Cooking classes, hot air balloon rides, skydiving, golfing, battle reenactments, bird sanctuary, cabaret and more. 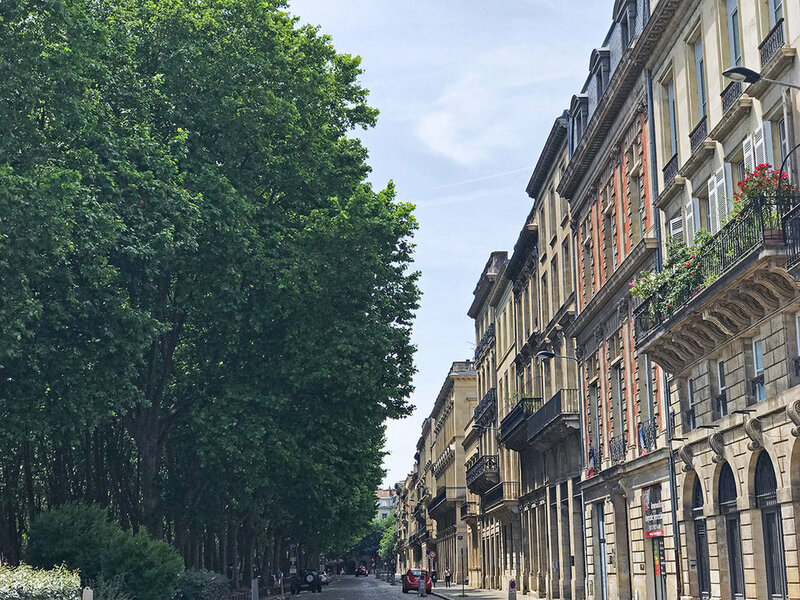 Bordeaux is a vibrant and elegant city, with thousands of years of history. Make sure to roam around the streets, sipping wine in the squares, admiring street art and other art installations, Roman ruins, Cité du Vin and much more. Take part in the history, tradition and culture of wine in Bordeaux. Contact us to plan your trip to Bordeaux, France and beyond.